Modular shoulder rig based on ARRI standard dovetail. Rubber no slip grips. 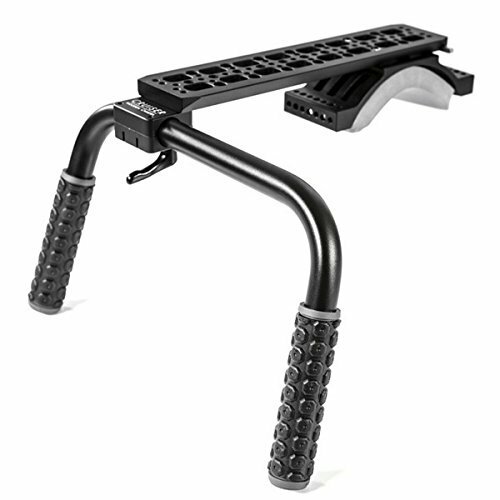 Threaded holes on Shoulder Pad and Safety Dovetail for attaching accessories such as monitors, rod clamps, cheeseplates, battery mounts, and more.